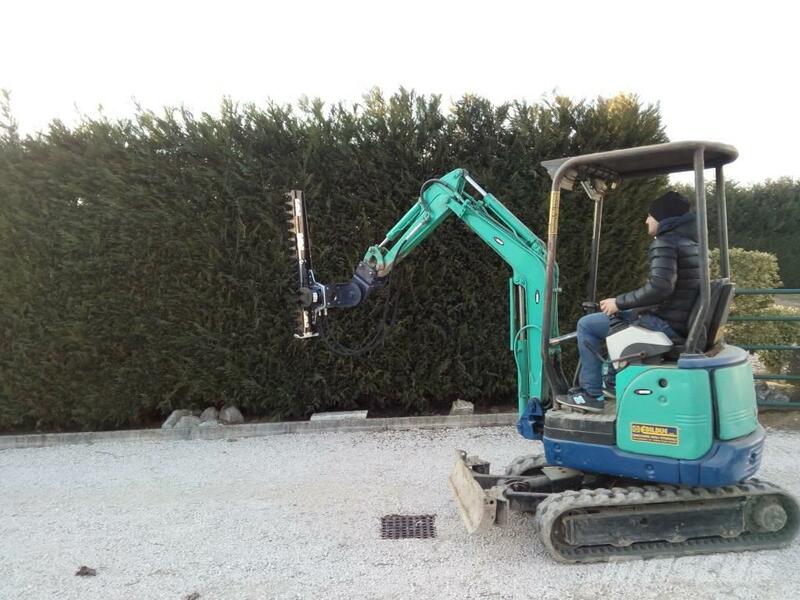 Outras informaçőes Hydraulic hedge trimmer for mini excavator up to 5 ton. Available with two operational width: 1200 mm and 1500 mm. Suitable for your work of green maintenance.